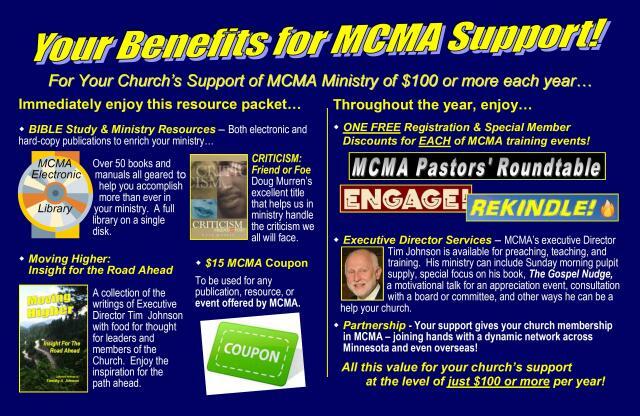 MCMA Church Membership is secured through financial support of MCMA with several important benefits. Will send Check for $100+ to MCMA. Will Click DONATE button here or on homepage to give $100+ online. Indicate whether you will offer this in a one-time payment, or divided into monthly or quarterly payments.